Destin Spring Break Fishing (3-29-18) Inshore Fishing at its Best! 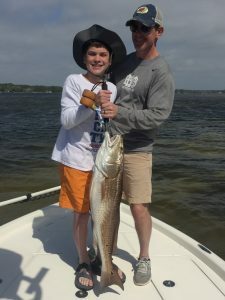 Destin Spring Break Fishing is producing some great charters with lots of fish so far. 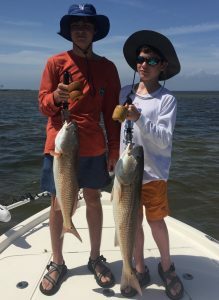 We are catching a mixed bag of redfish, speckled trout, mangrove snapper, sheepshead, spanish mackerel, and black drum. 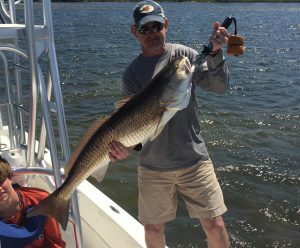 The redfish have been the most plentiful and we are getting plenty in the 10-25 lb range! They are some real bruisers, and a blast to reel in. We are using a combination of live bait and artificial lures right now for the Destin Spring Break Fishing. We are fishing around docks, around the Jetties, and around bridges. 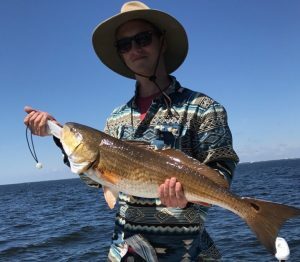 There has been a good number of bull redfish in shallow water this spring break making for a lot of fun experiences when the drag starts screaming unexpectedly. 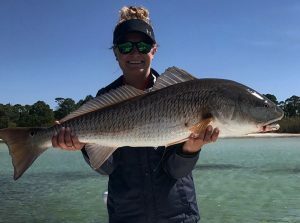 There is nothing quite like a 20 lb bull redfish making an initial run in less than 3 feet of water! Quite a few of our clients have commented how it has been the most exciting fish they have ever reeled in. We have also added a new boat to the fleet for 2018, a 26 ft Pathfinder Bay Boat. 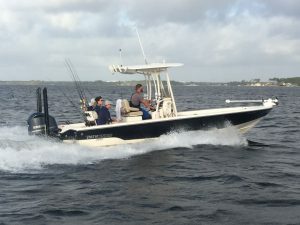 Captain Justin is running this new boat and loving it. It is fully rigged with a trolling motor, electronics, two power-poles, a stereo system, and a T-Top for maximum shade. It really is a fishing machine! It should be a great addition to the Last Cast Charters fleet. 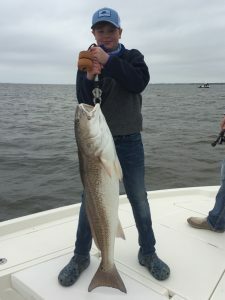 We are catching lots of fish and booking up fast for Spring Break. 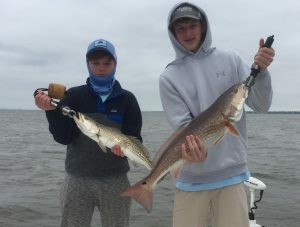 If you are planning a trip to Destin and want to do some Destin Spring Break Fishing, look us up! We love what we do, and what we do is put people on the fish!